Promoting a cool alternative to L.A. The coastal community of Marina del Rey, California is located in the center of Los Angeles’ Westside between Venice Beach and Playa del Rey. 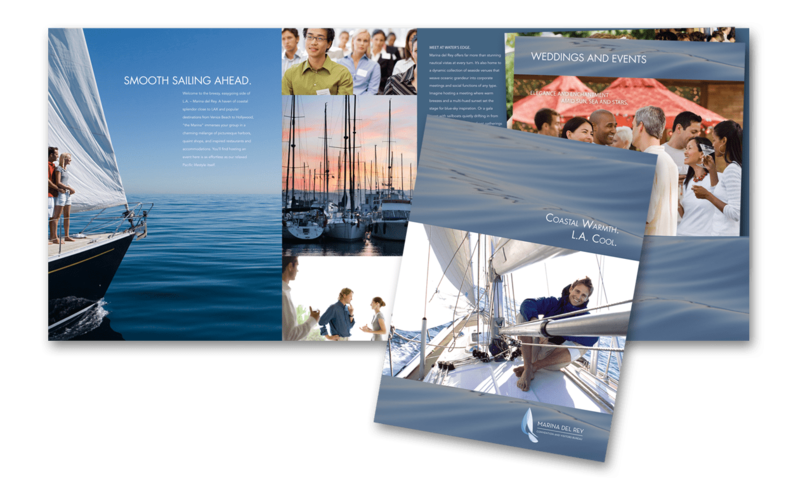 Through their official Marina del Rey publications, branded materials and website, the Marina del Rey Convention and Visitors Bureau offers information about local tourism services and facilities to the public, tour operators, meeting planners, travel agents and the travel media. 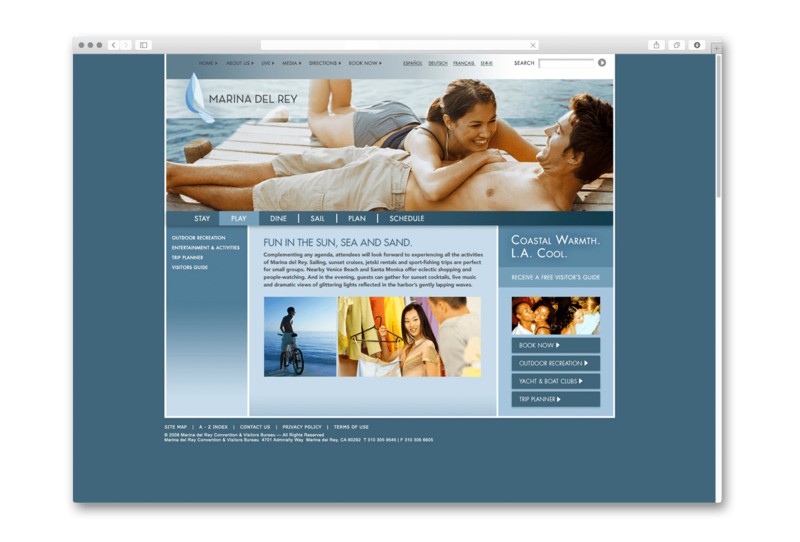 The Marina del Rey Convention and Visitors Bureau sought to completely rebrand their image. With a goal of changing the tone of the Convention and Visitors Bureau to reflect the renovation of Marina del Rey, they aimed to position the city as a stylish, coastal alternative to Downtown Los Angeles for meetings and events. They wanted a redesign of their website, brochure, maps and other collateral materials in order to attract visitors. 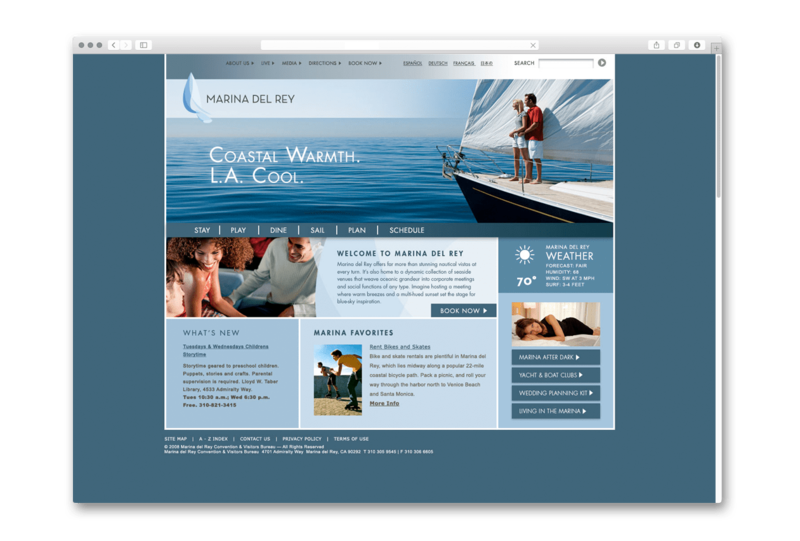 To reflect the upscale ambiance of the new Marina del Rey, I developed a clean, streamlined design that complements the smart, sophisticated tagline and copywriting. 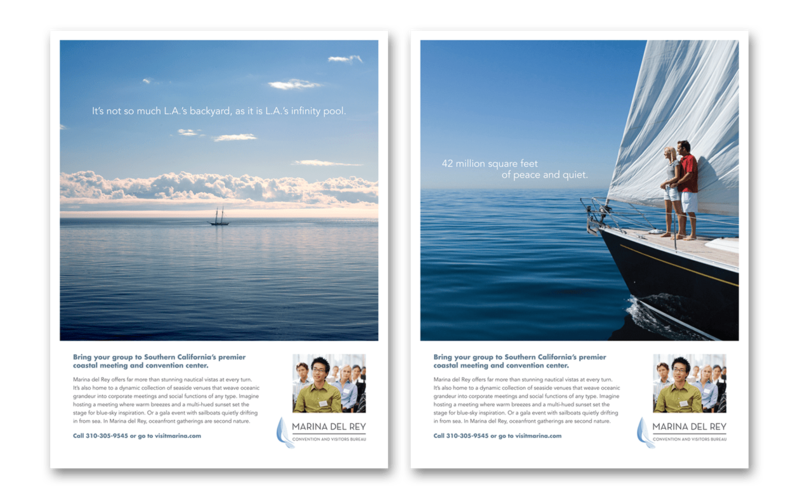 The inviting design, which showcases the beautiful coastline, ocean activities and nightlife, extends across all interactive and print elements to create a consistent look and feel. The brochure also includes additional elements such as meeting and wedding planning venue information; the website includes a calendar and planning services. The overall redesign was a big hit.